Testimonials G4 Guitar: "I think your program is a fantastic, structured way to approach teaching guitar"
"I think your program is a fantastic, structured way to approach teaching guitar"
I have seen your G4 website a number of times and often wondered if you would allow me to use your program to teach new students. I purchased your complete program package and have looked over each PDF document. 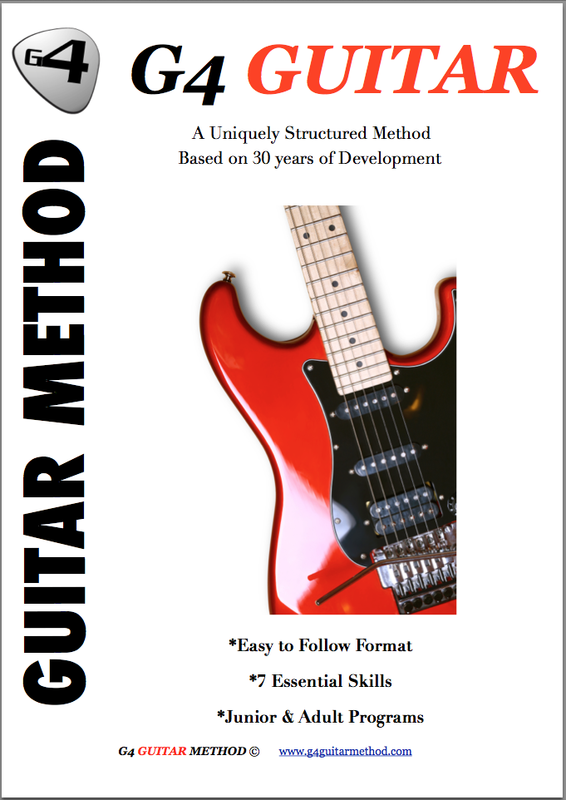 I think your program is a fantastic, structured way to approach teaching guitar and helps avoid that trap that most instructors get into of just "going with the flow". No matter what the subject, students need to see what is happening, either good or back in regards to progress. If they don't see progress - they lose the desire to continue because there is no more satisfaction. And that is why they want to play music on guitar, specifically because they seek the "satisfaction" of hearing music they themselves can produce. Randy Rios - Phoenix Arizona USA.